When you have to work at high altitudes, the best choice is certainly to equip yourself with a mobile tower, to choose carefully according to your needs. 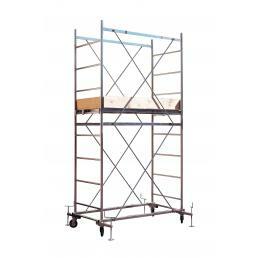 It is a solid and stable structure, which guarantees maximum safety and stability up to 20 meters in height. 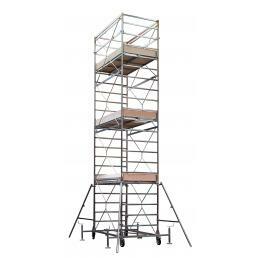 We often have to carry out building and renovation work at high altitudes, and we have to choose between mobile towers and scaffolding, scaffolding, professional furniture with great stability and reliability. When the height to be reached is very high and the work takes several days, the wisest alternative is to buy a mobile tower. There are several variations, to meet different types of professional needs. The gigantic mobile tower can reach a maximum working height of 18 meters and has several solid wood work platforms, all equipped with hatches and anti-fall toes on the sides. Being a mobile tower that reaches high heights, it is equipped with a central tie rod that guarantees maximum rigidity and stability to the entire structure, as well as having solid protection bars on all four sides. It is finished with an anti-corrosion zinc coating, which repairs the structure from atmospheric agents, preventing it from rusting or being damaged. The wheels are all swivel and equipped with safe brakes. There is also the giant mobile tower variant, which reaches heights of up to 13 meters and has several Eurodeck wood floors, always with trapdoor and sidewalks on the sides. 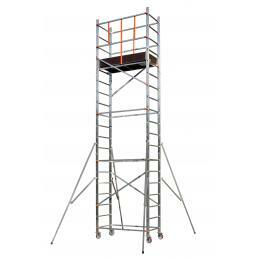 It is a solid and safe mobile tower, equipped with a quick fixing system of the tie-rods with an automatic involuntary unthreading mechanism, and the revolving wheels are all equipped with a brake. 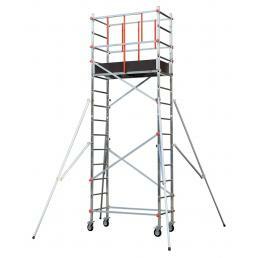 For those who need to reach lower heights, but still seek the safety of a mobile tower, there are also professional models that reach up to 5 meters in height, with the possibility of adding a lift kit that allows you to reach up to 8 meters. Mobile towers are the best choice for all professionals working in the field of construction and renovation: Mister Worker™ has chosen only the best and most stable and reliable, to ensure maximum safety in every situation and at any height.